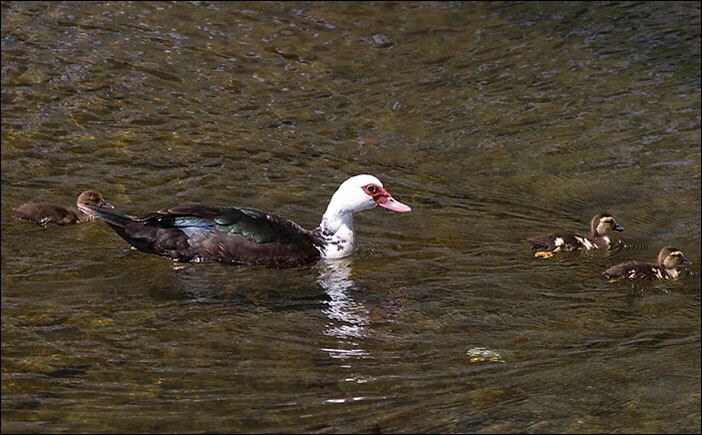 Pair of domestic Muscovy Duck in April 2010. Photo: Ari Seppä, Finland. This adult domestic bird with chicks were seen at Ribeira Brava on 30th April 2008. All birds seen between Ponta do Sol and Ribeira Brava most probably have its origion from Lugar de Baixo. Photo: Sampsa Cairenius, Finland.